Minimising the waste is the best place to start, for instance before printing off something, decide if you really need to. Use double sided photocopying where possible. Putting up posters reminding employees to recycle, internal newsletters and meetings are good ways to bring home the importance of recycling in the office. You should also purchase recycled products where possible. You should have separate waste baskets for paper, white paper and colored or glossy magazines and newspapers. Plastic cups and plastic packaging materials should be recycled along with glass bottles, jars and tin cans. 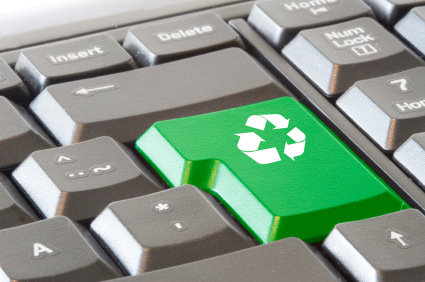 By purchasing recycled products, minimising waste and recycling as much as you can in the office, you will be doing your part to keep your office green. This entry was posted on Thursday, April 23rd, 2009 at 2:48 pm	and is filed under Office Etiquette, Office Organization, Office Talk. You can follow any responses to this entry through the RSS 2.0 feed. You can leave a response, or trackback from your own site.